Marketing strategies have proved their efficacy and continue to develop to attract more consumers and get higher profits. It may sound unbelievable, but e-mail marketing has outrun such, it may seem, unbeatable competitors as SEO and Content Marketing, taking 73% in the ROI ratings. Another impressive figure, that makes email marketing one of the leading ones, is the fact, that every dollar, spent on it, returns $48 dollars back – it is quite impressive, isn’t it? 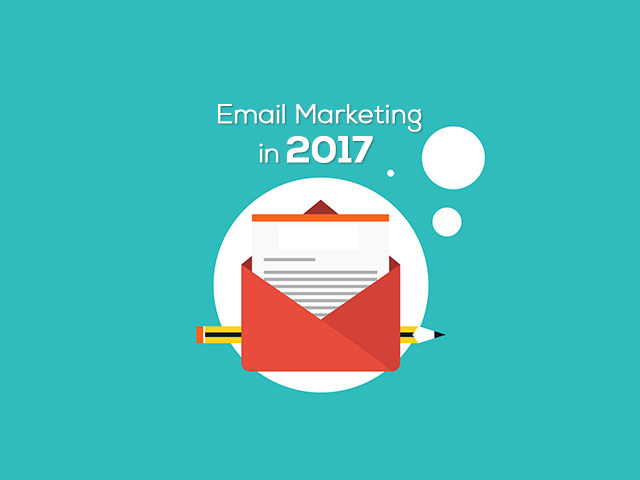 The 2017th year will open new possibilities of email marketing due to the trends in its development. Let’s see what recommendations experts give to make it even more efficient the next year. It is impossible to send each customer an exclusive email written personally for him. The core of this feature is to address subscribers by their name and create messages on the basis of the customer data. It may be the purchase history, recently viewed items, preferences etc. According to Experian study such personalized messages increase transaction rates in 6 times. And while 70% of modern brands do not personalize their marketing emails, it is easier to look more attractive among competitors doing that. Another convincing feature that makes customers open the message is a custom subject line. This simple and short phrase should persuade the reader to open it and 47% of such emails are really opened. 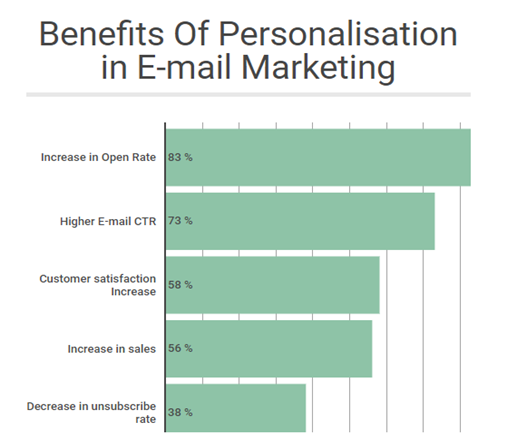 Two other simple steps to personalize the emails are filling a signup form with relevant information and providing a real email and other contacts for customers to be able to connect with you. Choosing the right segment of customers can increase the efficiency of the email marketing campaign up to 25%. Experts advise to focus on small business owners who already have their regular customers and work on the expansion of their number. 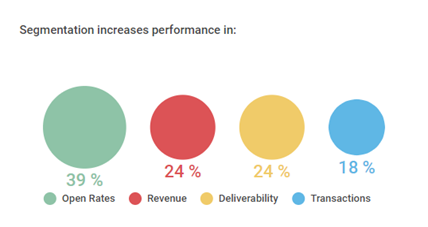 According to HubSpot study there is an increased performance in open rates (39%), revenue (24%), sales leads (24%), deliverability (24%) and transactions (18%). Unfortunately, only 10% of email marketers segment their messages today, so in 2017 it is preferable to start segmentation that can be of several types: by industry, company size, and sales cycle. It was estimated that over 50% of people read their emails on mobile phones and almost the same number unsubscribe from the brand’s regular messages because of their poor look or work on these devices. In addition, the first thing 62% of people do in the morning is checking notifications, and emails are among them too. No wonder that more marketers will try to make their emails user-friendly and attractive to potential customers with mobile devices. The revenue per emails received on mobile devices is 4 times higher than ones read on the PC. Moreover, 55% of smartphone owners do buy something advertised by the commercial email. That is one of the reasons to make emails responsive, compose efficient subject lines and opt for a sizable call-to-action part. It is quite difficult to evaluate the marketing performance without conducting regular tests. In 2017, marketers will pay more attention to tests, as any changes made to promotional emails should prove their efficacy through tests. The top most tested elements of emails are a subject line (70%), message (60%), its design and call-to-action part (54%). At the same time, testing of any constituent part of the whole marketing campaign can bring about custom results. Landing page, target audience, sender’s name, length of emails influence the success of promotion and if tested regularly can enhance it significantly. Emails sent automatically based on customer’s behavior are called trigger ones. 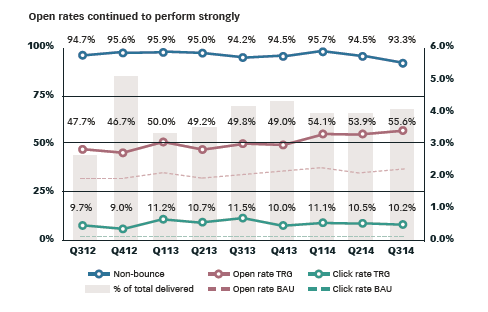 They are more effective than standard ones, as their open rates are 95% higher, and click-through rates are twice higher according to Epsilon. Another Forrester research states that the profits brought about thanks to trigger emails are 18 times higher – quite a persuasive figure to start email automation. At the same time, the popularity of trigger emails is not that high today. Only 25% of marketing companies use them and they constitute only 2.6% of the total number of emails sent. It is not surprising that a tremendous growth of trigger emails is expected this year. It is of utmost importance to allow readers to grasp the value of the written message at first sight. That means that emails should be minimalistic and eye-catching but still informational. In 2017, marketers will try to add more innovation to their campaigns. According to Econsultancy research 66% will contribute to the triggers creativity, 50% will add dynamic elements like videos, images, countdown clocks, 20% will include a back email address and 9% will experiment with various interfaces. 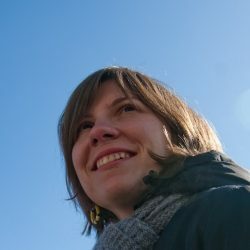 Alisa Bagrii is a tech writer and marketing strategist. Currently, works with such concerns as e-mail marketing and online security. When not sat at the laptop you can often find her walking in the forest or devouring a good book.